Editor’s Note: Oprah Winfrey announced Jan. 24, 2011, that she has a half-sister. 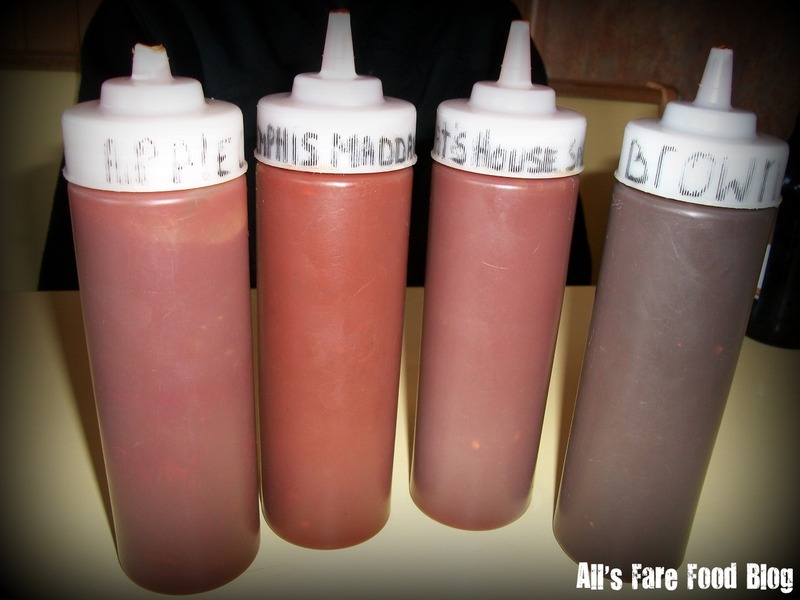 Pat’s Rib Place and it’s owners – Alisha and Tydus – were mentioned on the show. 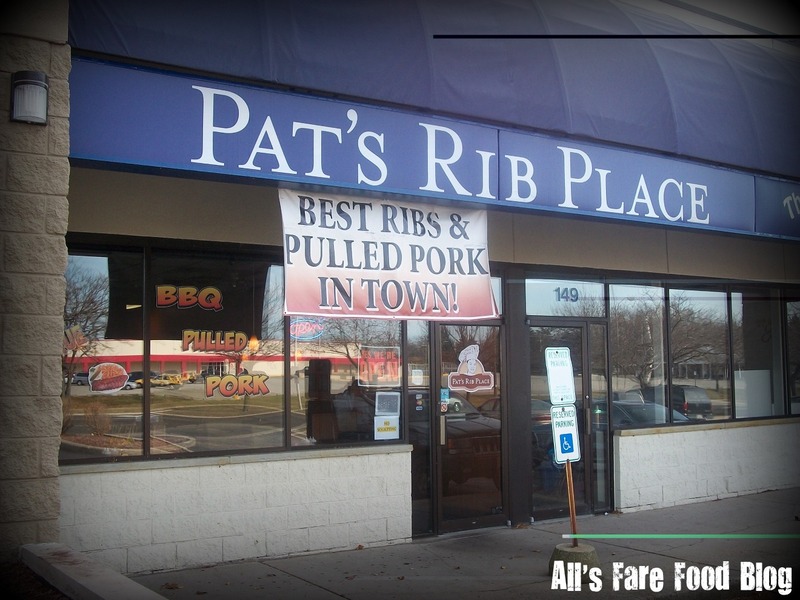 I first heard about Pat’s Rib Place in Waukesha from a coworker. She told me that the barbecue rivaled some that she had in Memphis. A few weeks later for my 29th birthday, Pat’s Rib Place was the place I wanted to go. Today, it’s a hidden gem that I want to share with more people. Pat’s Rib Place opened its doors in July 2009. Located on Sunset Drive, the restaurant isn’t your typical strip mall find. It’s owned by Alisha and Tydus Hayes, and named for Alisha’s mother who died in 2003. 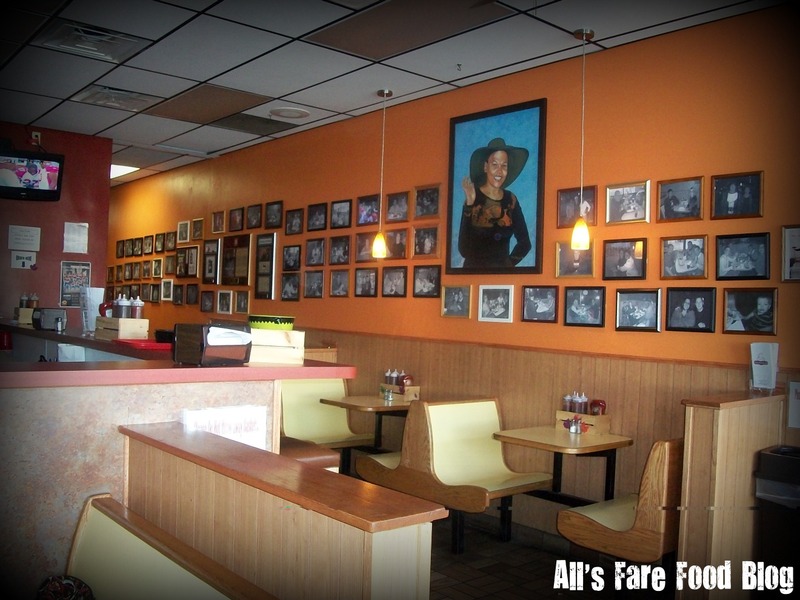 The restaurant’s walls are lined with family pictures (and some of patrons), so you get the real sense that this is a family-run operation and that your meal is made with love. Tydus is a native of Tennessee and the head chef. Alisha is often seen in the front of the house – taking orders, wiping down tables and checking that guests enjoy their meal. The barbecued meats here are served with sauce on the side. The menu includes spare ribs, baby back ribs, beef ribs, pulled pork, beef brisket, buffalo wings and catfish. The chalk-written menu is behind the counter. 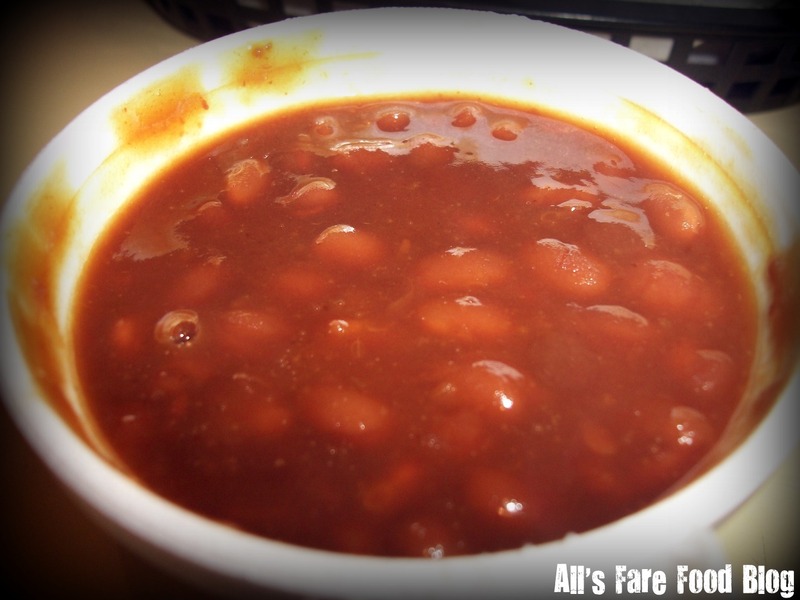 You can order just the meat or the sandwich, or have it as a dinner which comes with fries, coleslaw, bread and baked beans. Drinks are in bottles – from soda, Lipton iced tea to alcoholic beverages like Lakefront Brewery’s East Side Dark, Riverwest Stein or Horny Goat’s Belgian Wheat. There are also side items like deep-fried string beans, fried pickles and okra. End your meal with some of Alisha’s handmade apple or peach fried pies. The portions are huge. 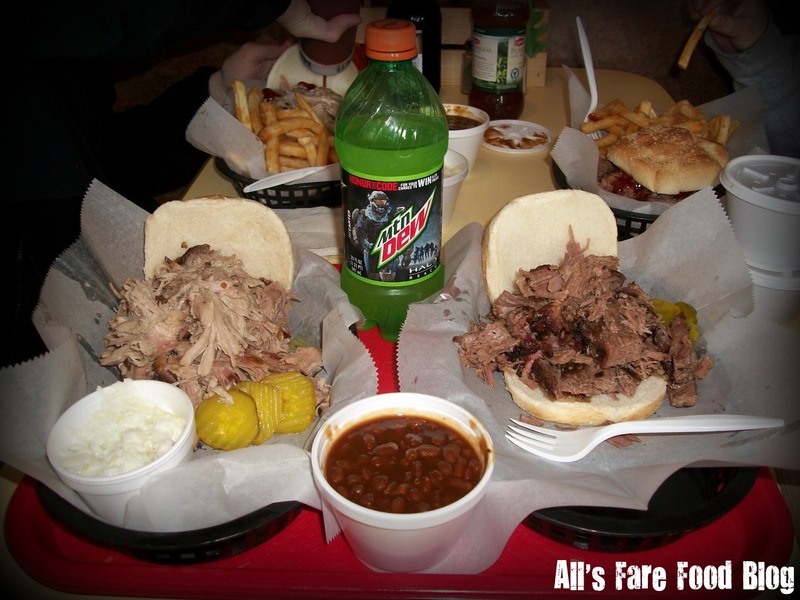 We went a little crazy on a recent trip and really enjoyed our pulled pork and beef brisket sandwiches. The beef brisket sandwich (before I slathered on the Apple Chunky sauce) served with fries. The beef is piled on high. The bun is perfect for sopping up leftover sauce or baked bean juice. Meals are served very simply in plastic containers and parchment. My husband’s pulled pork sandwich really stole the show for me. Topped with the spicy Mad Dawg sauce it was juicy, smoky and gone. Unlike my beef brisket, there were no leftovers here. The restaurant isn’t too large but there is some seating. There are a few booths that fit four people with a few more that only seat two. You could also venture to sit at the counter, just be careful – the stools are high. Or, you could be like many of Pat’s Rib Place’s customers and order carryout. My coworker who first mentioned Pat’s to me would stop on her way home from work – pick some up for dinner and then enough of the rib tips or brisket for lunch and dinner the next day. 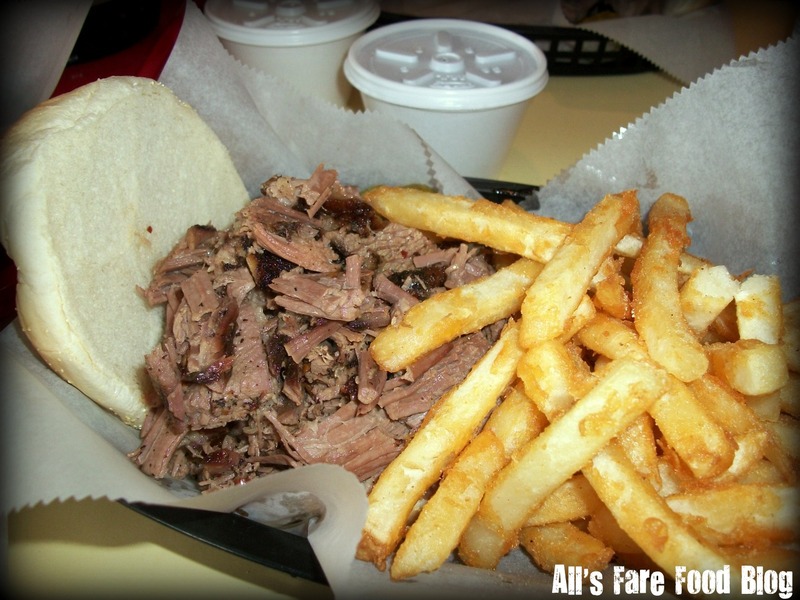 The best pointer about Pat’s Rib Place that I can pass along, though – get there early! Many times, Alisha and Tydus have already run out of certain meats and sides. We were there at 1 p.m. on a recent Sunday, and the corn bread and deep-fried string beans were already gone. Another time, the spare ribs were already gone. 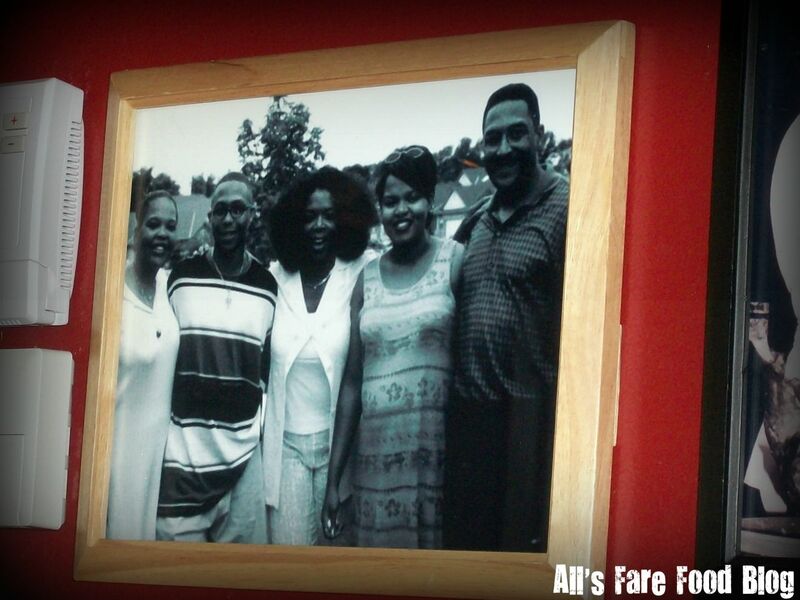 Search the restaurant’s walls and you’ll find a picture of Oprah Winfrey. Why? Alisha is Oprah’s niece. 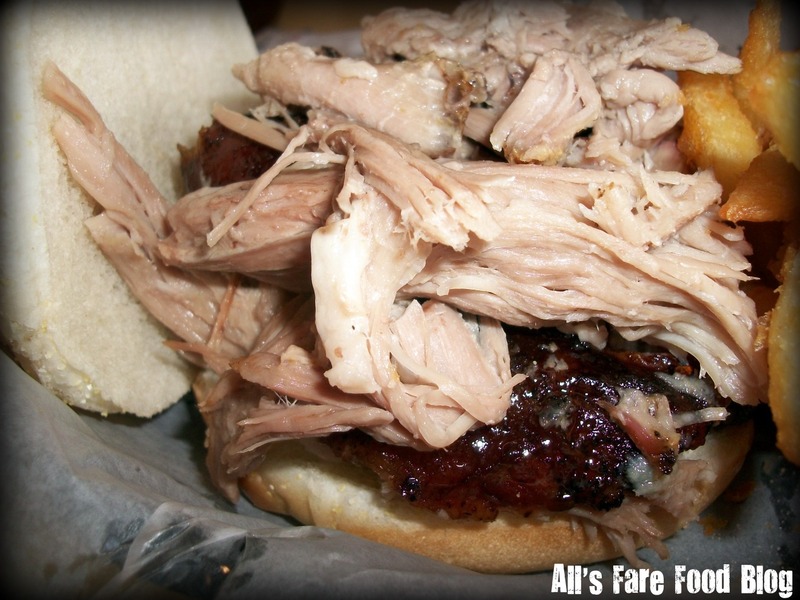 Check out this great story from Mike Anderson at WISN-TV in Milwaukee featuring Pat’s Rib Place. 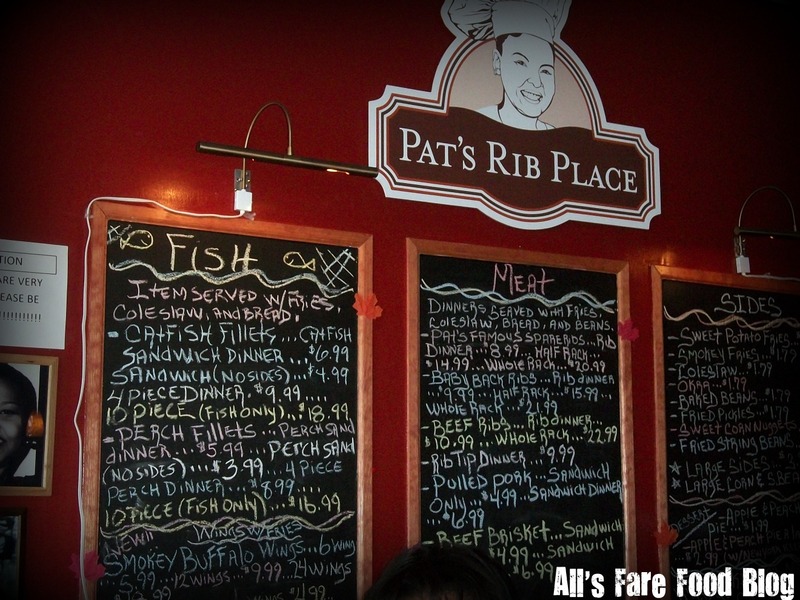 Pat’s Rib Place is located at 151 E. Sunset Dr., in Waukesha. Hours are 11 a.m. to 8 p.m. Tuesday through Thursday, 11 a.m. to 9 p.m. Friday, noon to 9 p.m. Saturday, and noon to 4 p.m. Sunday. The restaurant is closed Mondays. This entry was posted in Cuisine - American, Places - Milwaukee and tagged Alisha, baby back, baked beans, barbecue, beef tips, brisket, buffalo wings, catfish, Channel 12, cole slaw, corn bread, Hayes, Mike Anderson, niece, okra, Oprah, Oprah's sister, Pat's Rib Place, Patricia, ribs, Sunset Drive, Tydus, WISN by Christina. Bookmark the permalink. This place is awesome! Christina is right about getting there early. The only barbecue I’ve had outside of this was in Texas and this certainly rivals my meal there. Thanks Alisha & Tydus! I wish you guys the best of luck and can’t wait to come back and visit! I’m jealous!! my best friend is going there today with friends and I have to work! I LOVE BBQ! Tell Mia Smith to bring me some rib tips back and I don’t care what sauce she pick! Thank you! Just read this review and I can’t wait to drive out to Waukesha to get some food. I am from the south and have not had good BBQ or fried okra in years. Been living just north of Milwaukee for 14 yrs. and I can tell just from reading the review and the pictures of your food that this is the real deal and what I have been missing since moving away from the southern USA.